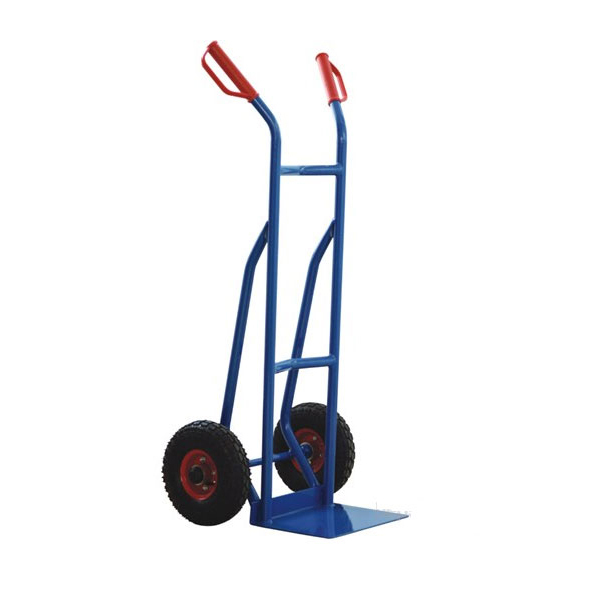 A professional hand sack truck with a 300kg capacity. Supplied with pneumatic wheels making it easier to move heavy items over rough terrain. Strong welded tubular steel construction with epoxy coated paint finish. Ideal for Garden Centres, Factories, Warehouses, Delivery Drivers or Moving House.